Here at SuperDroid Robots we offer custom orders on most of our standard tracks. Simply decide which type of track is right for you and fill out our custom request form (located here) and tell us the length you want! 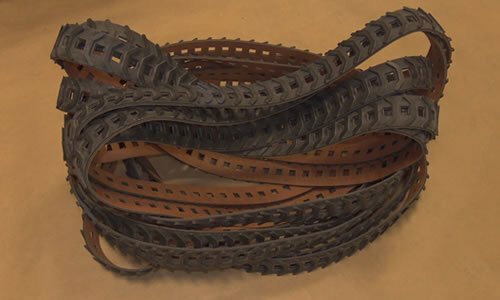 We currently offer two standard tread designs with multiple options. Our four inch wide track design has three cleat options available (TD-047-001, TD-047-002, and TD-080-002). Our three inch tread design is available in standard and aggressive tread variants (TD-078-002 and TD-079-002). With each style of tracks we can also provide the accompanying wheels to ensure a proper fit!